Investors in India’s state bank fundraisings will have to take a leap of faith. State Bank of India is leading the rush to raise capital with a huge $2.4 billion public market share sale. Others are lining up to follow. An economic revival makes bad debts look less bad. Long-term investors, however, also have to believe that the government will keep its promise to curb meddling in lending decisions. Publicly owned banks need to raise $50 billion by 2019 to meet Basel 3 capital requirements, according to Morgan Stanley. In the past they have relied on the government for cash infusions. SBI’s last attempt at raising $1.5 billion from public markets in January 2014 fell short of its target and was propped up by state insurer Life Insurance Corporation of India. 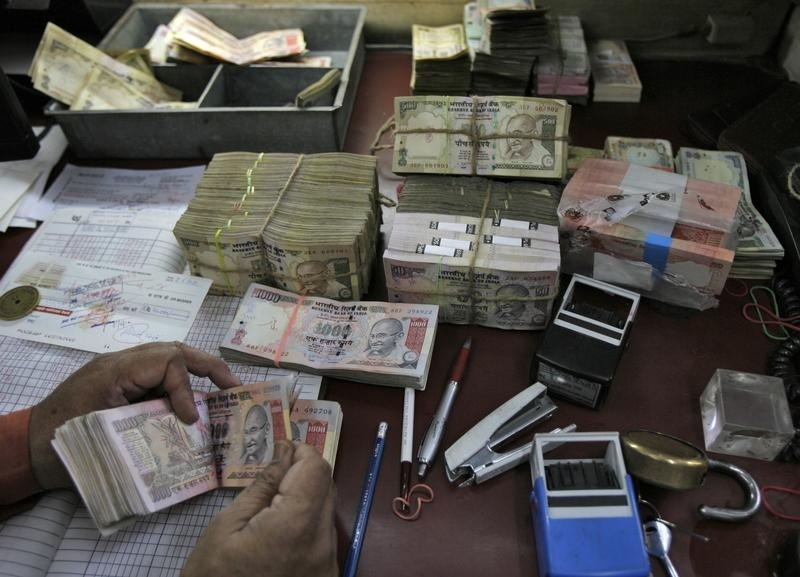 A stronger Indian economy makes it easier to tap private cash. After a 40 percent rise in its shares in the past year, SBI’s market value is almost $35 billion. Its common equity Tier 1 ratio is almost 10 percent – many of its state-owned rivals are around 7 percent. SBI is also the only public sector bank to have increased its share of the savings account market over the last eight years and has better staff productivity than peers, says Barclays. That puts SBI in a stronger position to take advantage of an expected pick-up in credit growth. Other state banks look much less attractive. Reported capital ratios are too low to support loan growth, and the numbers would be worse if bad debts were fully recognised. To step up, private investors would demand a steep discount that would force the government to reduce its ownership below 50 percent. Those that are tempted to invest in the sector will be betting that the government at least honours its pledge to put less pressure on banks’ lending decisions. That’s easy to promise when demand for credit remains anemic. As activity picks up, that rhetoric will have to be matched by action if state banks are to have any chance of raising capital and catching up with their healthier private peers. State Bank of India is expected to raise as much as 150 billion rupees ($2.4 billion) from the sale of new shares after it reports fourth quarter results in May, according to two people familiar with the situation. India’s largest lender by assets received shareholder approval to raise the funds at the end of February. SBI reported lower than expected net profit for the third quarter but bad loans also rose much less than expected. The gross bad loans ratio was 4.9 percent compared to 4.89 percent in the previous quarter. The bank’s return on equity, excluding associates, stood at 11.12 percent at the end of December. Its common equity Tier 1 capital ratio was 9.92 percent. In December, India’s cabinet approved plans to reduce its stakes in state-run banks to no less than 52 percent by 2019. The government currently owns 57.8 percent of SBI, according to Eikon. India’s finance ministry in January assured public sector lenders of greater freedom in commercial decisions. “The banks and financial institutions should take all commercial decisions in the best interest of the organization without any fear or favor,” the ministry said in a statement following a two-day meeting to discuss ideas to improve the health of state lenders. Shares in SBI have risen 40 percent in the past year against a 22 percent rise in the broader Sensex benchmark index. In the year to date, SBI shares have fallen 7.3 percent while the Sensex has risen 0.6 percent.